Triglav National Park, Stara Fužina, Slovenia. Triglav National Park (TNP) (Slovene: Triglavski narodni park) is the only national park in Slovenia. It was established in its modern form in 1981 and is located in the northwestern part of the country, respectively the southeastern part of the Alpine massif. Mount Triglav, the highest peak of Julian Alps, stands almost in the middle of the national park. From it the valleys spread out radially, supplying water to two large river systems with their sources in the Julian Alps: the Soča and the Sava, flowing to the Adriatic and Black Sea, respectively. The proposal for the protection of the Triglav Lakes Valley area was first put forward by the seismologist Albin Belar in 1906 or 1908. However, the proposal was not accepted, as there was no legal base for it and the then valid laws prohibited any restriction of pasture. The strategic basis for the protection of the area, titled The Memorandum (Spomenica), and which explicitly mentioned the proposal of Belar, was submitted to the Provincial Government for Slovenia in 1920. The idea was finally implemented in 1924. Then, at an initiative by the Nature Protection Section of the Slovene Museum Society together with the Slovene Mountaineering Society, a twenty-year lease was taken out on the Triglav Lakes Valley area, some 14 km². It was destined to become an Alpine Conservation Park; however, permanent conservation was not possible at that time. The name Triglavski narodni park was first used in 1926 by Fran Jesenko. In 1961, after many years of effort, the protection was renewed (this time on a permanent basis) and somewhat enlarged, embracing around 20 km². 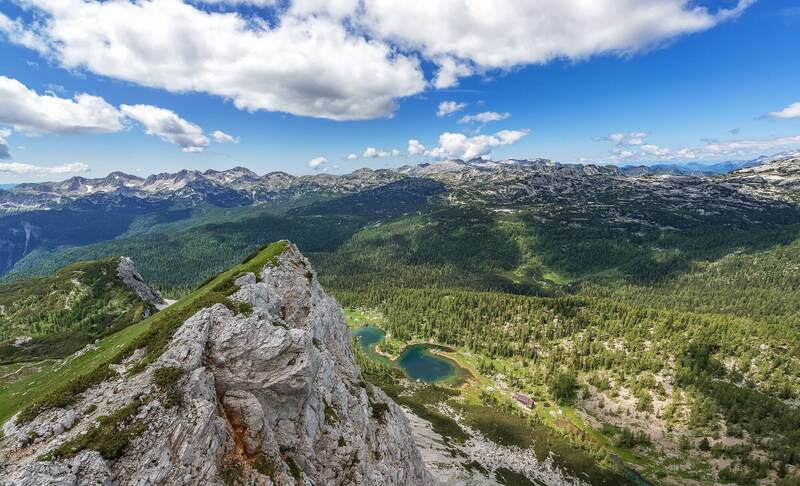 The protected area was officially designated as Triglav National Park. It was named after Mount Triglav, a symbol of Slovenia and of Slovene character. However, all objectives of a true national park were not attained and for that reason over the next two decades new proposals for expanding and modifying this protection were put forward.